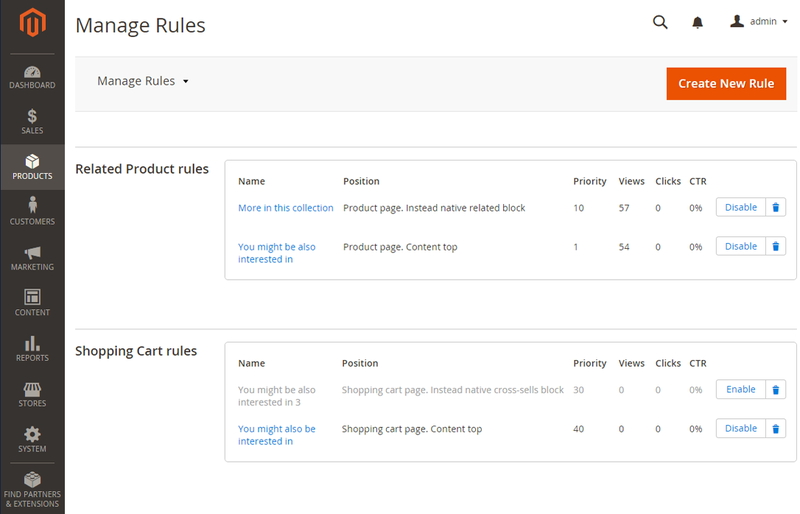 Create rules and see related products assigned automatically. Sort products by bestsellers, top-rated, date, etc. Manage related products effortlessly due to unique backend options. Save time on storming a new strategy. 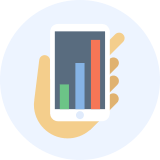 Allow our module to calculate what your customers might be interested in. Provide a bugless display of related products on any device. How Magento 2 Related Products works? 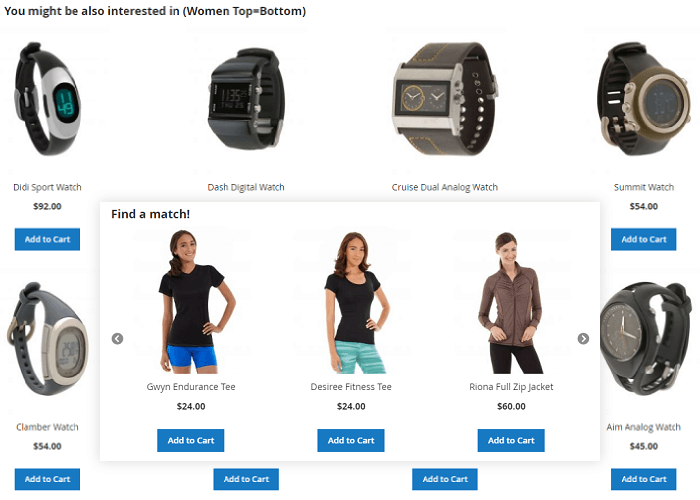 The Magento 2 Related Products extension is a tool for displaying related products at the product, shopping cart, and category pages. Generate rules and assign them to multiple items simultaneously. 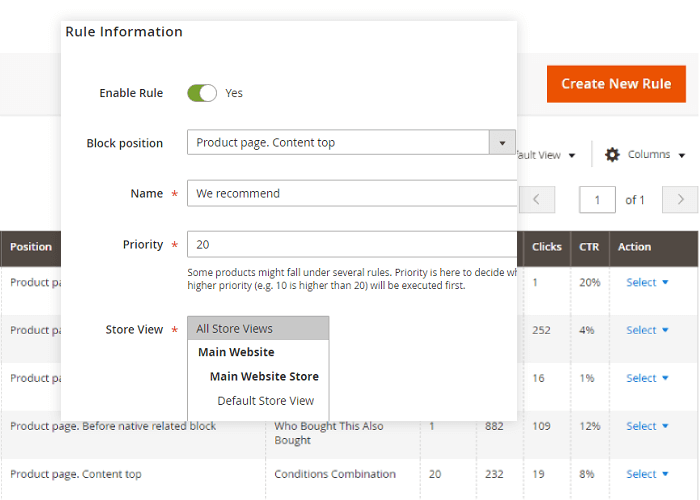 Use the flexible rule settings to create recommendations based on such criteria as views and relevant product purchases. Control related products blocks’ look and their position within a store. The Magento 2 Auto Related Products extension encompasses merchants face the easiest and the most desirable rule creating process. The Related Products for Magento 2 module possesses a bunch of features that transform any customized backend settings into a responsive frontend design. Update the bestsellers list for the correct data analysis. Enjoy the responsive design and mobile gesture support. 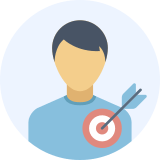 Run targeted campaigns for Magento Enterprise segmentation. or futher customization of your products? Let’s say you managed to attract the customer’s attention to your product page. Great, the customer is interested in your product and intends to buy it. That’s when the ARP module comes into play. Use a related product block to suggest a range of slightly more expensive products with the 5-10% markup. The human nature will do the rest since it’s next to impossible to resist an urge to find out what you can get for a few dollars more. Use the related product blocks to suggest the items that are usually bought together with the product to be purchased. For example, a camera is often bought together with a camera bag and a memory card. A dress perfectly goes with shoes, earrings, or bracelets. By using our Magento 2 related products extension, you are guaranteed to get an increase both in order value and order size. Flexible settings allow online merchants to choose the block layout (a grid or a slider), the number of rows and quantity of items per each block, and the related products sorting order. Related product blocks automatically adjust to the current screen resolution. In the 'related products' tab, merchants can override automatic related products with the native Magento related product suggestion. This option allows creating exceptions from rules covering entire groups of products. Place related product blocks anywhere in your store by using the custom block position widget. 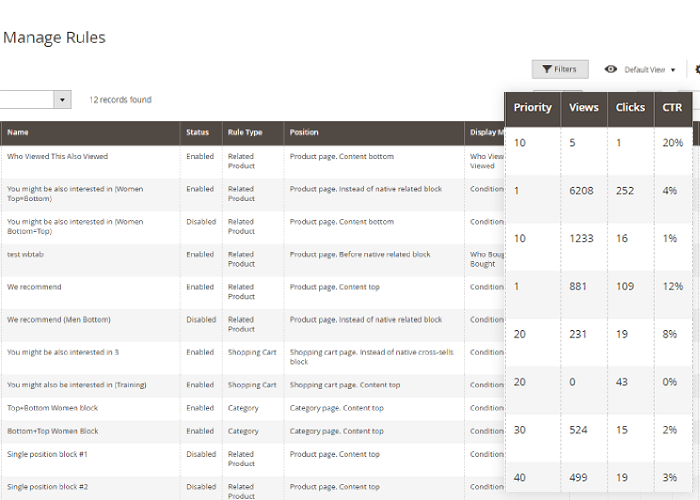 If you have multiple store views, you can put the related product block on the selected ones or all store views at once. Several related products blocks with different names, positions, and products can be displayed on the same page. 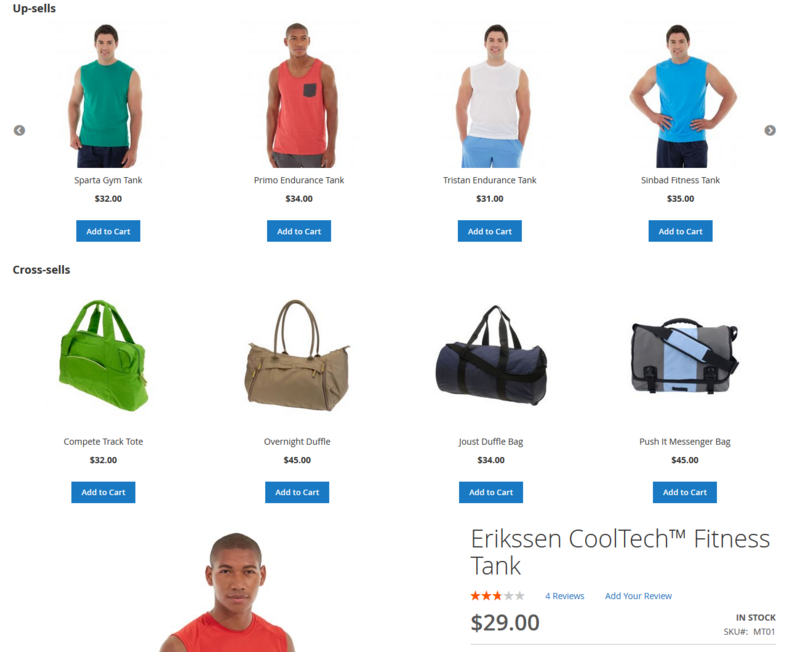 The set of predefined options allows placing the related products blocks anywhere on category, product, and cart pages. Related product blocks can also be displayed inside of the AJAX Cart Pro confirmation pop-up. The extension will analyze all the rule conditions set by the merchant to offer the most relevant cross-sells or up-sells. Cross-sells and upsells can be displayed within the same position. In this case, the merchant should define the rule priority for the block to be displayed first. 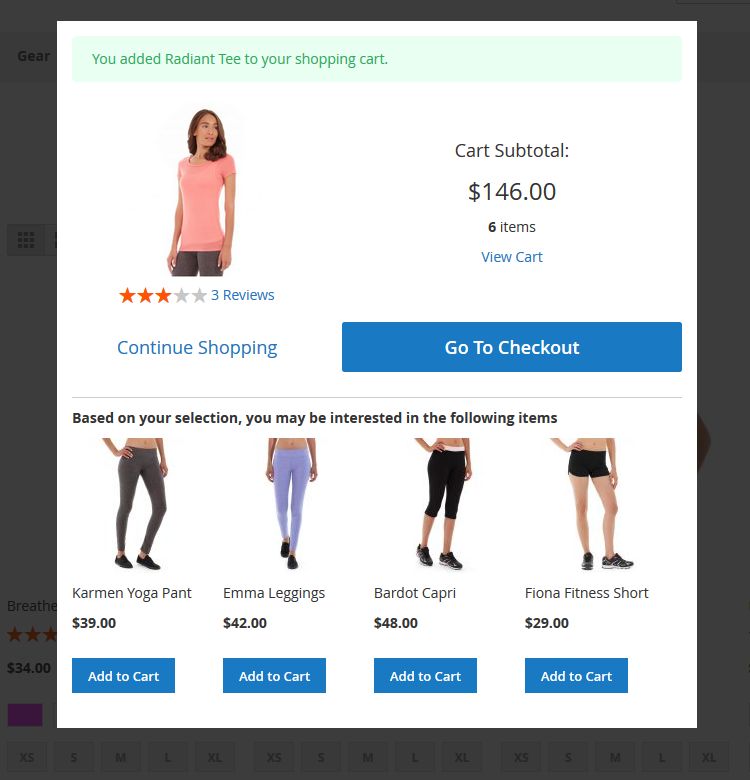 Rules can be set up for category, product, and/or cart pages. Conditions allow online merchants to make a custom selection of products based on their attributes without the need to pick related products manually one by one. Assign the priority value to related product rules in order to resolve any possible rule conflicts. Save time on creating several rules with the same conditions by duplicating the required rules. Automatic Related Products blocks can be further targeted using Enterprise segmentation rules. 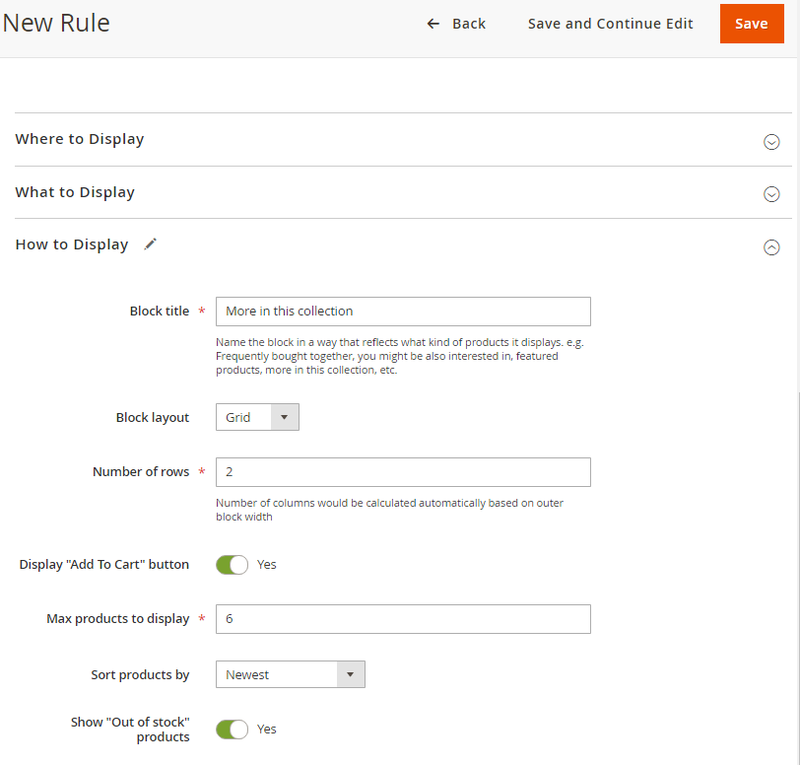 In the Where to Display section, merchants can define pages where the related products blocks will be displayed using rule conditions and condition combinations. The What to Display section allows determining the products to be displayed as related. Store admins can choose between the Condition Combination, Who Bought This Also Bought, and Who Viewed This Also Viewed display modes. The key performance stats, including the number of views, clicks, and click-through rates for each rule can be tracked in the Rules grid. I like a rule duplicating feature, it is really very useful and saves loads of time. Also, I appreciate the quick and professional responses for the support team. All answers addressed exactly what I was asking for. We use this extension for a few our projects. This extension is very flexible and useful. Also, the Support team works fast and perfectly! The rule based system for incorporating related product blocks all over your site saves such a massive amount of time, that it pays itself back within a few months. The fact that it is rule based means that you dont have to update your sliders all of the time if you change products and prices etc and its simplicity means that you don't need a magento developer to set things up for you. There are lots of rules so you can create a very customised slider and help boost your sales. My only criticism would be that the sliders css styling is very basic. This is good if you are a developer as there is not much code to go through, but i think it would be nice to have a selection of modern style sliders to choose from out of the box. As always, the support is fantastic if you need any help. I like that it can create price-based rules and it is possible to place its blocks into any custom place at the store. And besides, looks really good! At first it was a bit hard to understand what some settings are required for and how to display products I need in required places, but the team was extremely helpful and it turned out that there was nothing difficult about the extension configuration. Thank you for your patience. Great Service! I am currently using this extension and I am happy with it. Support is just fantastic! Thanks a lot for your efforts and your time. Code is great, Support are great! Really useful extension for showing related products without manual assigning them to one another. Faced some troubles with my theme but received friendly and fast help. We have all set up now and everything works perfectly. I looked at all the related product extensions currently out there for magento 2, for simplicity and reliability this is the best - trust me. I had a couple of issues related to my site design which aheadworks quickly resolved for me so yes the support like the extension is first class. 15K products and this extension is a blessing for time saving processes, it also shows you analytics on CTR so you can fine tune your rules for better customer interaction. Cant rate the extension high enough as its saved us literally weeks of time. A must have for every Magento store. We run 2 different sites and this extension is on both. Stats tracking is great. It's got all that I could expect from such extension. I'm really happy with the amount of time it will save my team - no need to plough through all our products. And rules are great too - now we don't need to install different extensions for different types of related products, just setup whatever we need ourselves. It is truly a time saver and well build extensions which helps to setup the promotion elements accross the store in a matter of few clicks. Easy to use and comes with a great support, thank you. I want to add SKU in product conditions. However, the extension will only allow me to add Category or Attribute Set. How can I add product SKUs? During the purchase I have to enter our url. Does this extension only work on 1 installation? Because we have a development environment and a production environment. 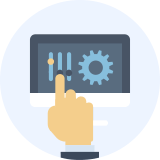 Our EULA allows using the extensions on a single production and as many dev or staging sites as you need without a need of purchasing an extra license. Yes, it does. It is possible to configure the extension separately for different websites. This extension for Magento 2 supports Saudi riyal currency and Arabic Language? If your currency and language is natively supported by Magento 2, the extension will also support it. However, to work with RTL most likely some style adjustments will be required and you will need to translate some options the same way as you did with your Magento. Does the extension support full page caching? Since full page cache is a native Magento 2 feature, all our extensions for this platform support it. I run Magento 1.X. Will my currently installed extensions from aheadWorks work in Magento 2? Due to a significant difference between Magento 1 and Magento 2 branches, the extensions for M1 will not work in M2. Which URL do I specify on checkout if I've got only a development store at the moment? You need to enter a final address of the site when it will go live. If the domain name is still under consideration at the moment of purchase, you can enter an address of your dev environment. In this case, don't forget to contact us when the final domain name has been registered: our support team will change it by your request. Does the extension have an ability to set up the price condition as a percentage value, according to which related products will be displayed? E.g. we'd like to show related products which prices are 15% higher than a current one. Yes, there is a special condition called Product Price in the "What to display" tab, so it is possible to set the rule like "Product Price is equal or greater than 15% of Current Product Price "
I run Magento 2 on AWS with ELB (Elastic Load Balancers) do I need a license per EC2 instance? They are all behind the same domain. Such setup is considered to be a single Magento environment, so you need only one license.